Hats Off to Bethany Christian! Not long ago, sixth graders from Bethany Christian School stopped by Joni and Friends with a donation. 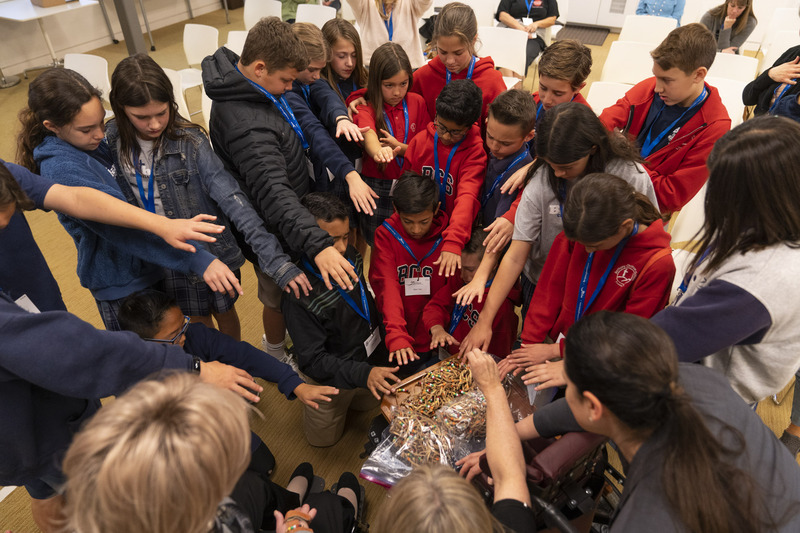 These students had made 1,000 gospel bracelets for Wheels for the World team members to give away during our international wheelchair fittings. 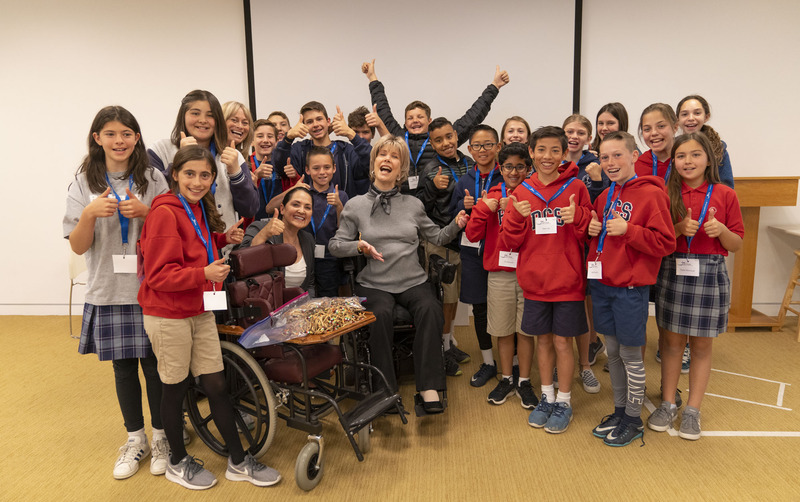 As part of their tour of the IDC, these young people got to see one of our pediatric wheelchairs up close and personal. One of my co-workers explained all its unique features, and afterwards, the students piled the gospel bracelets on the lapboard. Then together we prayed for the many children who will be receiving both a pediatric chair, like the one pictured here, and a bracelet. As I listened to one young sixth grader intercede for children with disabilities around the world, my heart overflowed with joy. God is raising up a new generation of young people who love Christ and love serving Him. Hats off to the teachers and students from Bethany Christian School! 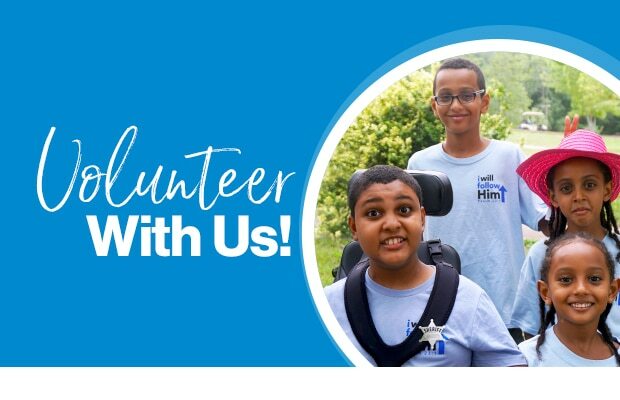 There are many ways that you can volunteer with Joni and Friends. If you have a desire to serve here at the Joni and Friends Headquarters or at your local Joni and Friends Area Ministry, learn how you can get involved and make a difference today!